STOCKHOLM, June 25, 2013 — Tobii Technology, the global leader in eye tracking and gaze interaction, and Synaptics Inc. (NASDAQ: SYNA), a leading developer of human interface solutions for mobile computing, communications and entertainment devices, announced today a new prototype laptop powered by a combination of Synaptics ForcePad touchpad and Tobii Gaze eye-tracking technology. The prototype laptop is based on a slim Ultrabook platform and provides a preview of how Tobii Gaze will be broadly used in combination with innovative touch interfaces in future computers. The new prototype will be showcased this summer in meetings with industry leaders, strategic partners and media in the U.S., Europe and Asia, as well as at events this fall. Tobii Gaze,the award-winningeye-tracking interface introduced last year, enables users to control the computer by combining their eye gaze with other controls, such as touch, mouse and keyboard. 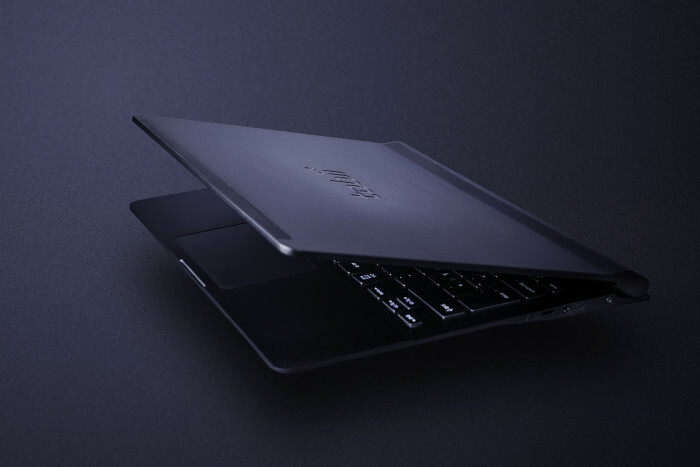 Synaptics ForcePad revolutionizes touchpad technology by introducing the element of pressure as an additional control element of touch. In January at CES, Tobii introduced and launched the Tobii REX Developer Edition, which is the first peripheral eye-tracking product powered by Tobii Gaze being made available for developers. Application developers can begin exploring the benefits of Tobii Gaze today with the Tobii REX Developer Edition. For more information about joining the Tobii Gaze Partner Program, go to www.tobii.com/gaze-partner. Tobii Technology is the global leader in eye tracking and gaze interaction. Tobii delivers comprehensive, market-leading gaze solutions and OEM eye-tracking components for applications such as computers, gaming and vehicles. Tobii’s eye-tracking technology has accelerated the development of gaze interaction in personal computing, transformed research in many fields and enabled communication for thousands of people with special needs. Founded in 2001, Tobii continues to achieve rapid annual growth and receive awards and recognition for its accomplishments. Based in Sweden, Tobii has a global presence, with offices in the U.S., China, Germany, Japan and Norway, as well as a worldwide network of resellers and partners. For more information, visit www.tobii.com.